Trump International Golf Club, Dubai brings a style of golf inspired by the game’s homeland, blended with culinary excellence and well-equipped leisure facilities to create an elegant lifestyle oasis within DAMAC Hills. Experienced PGA Professionals and cutting edge a coaching technology, such as SAM Puttlab and TrackMan Golf. Meanwhile, with its arching curves and soaring light-filled spaces the crescent-shaped Clubhouse at Trump International Golf Club, Dubai rises from what was once barren desert to bring a futuristic vision to sporting architecture in the Gulf. The result is a convergence of sport and creative design; a new cultural and lifestyle oasis that's home to The Terrace, a stylish family-oriented restaurant and The Ninth, a casual sports bar to watch your favorite sport. "From its world-class golf course to its exquisite Clubhouse and Trump International Golf Club, Dubai brings an unforgettable, seven-star golfing and lifestyle experience to the Middle East," he says. Trump International Golf Club, Dubai is located within DAMAC Hills, on the doorstep of Arabian Ranches and Studio City. 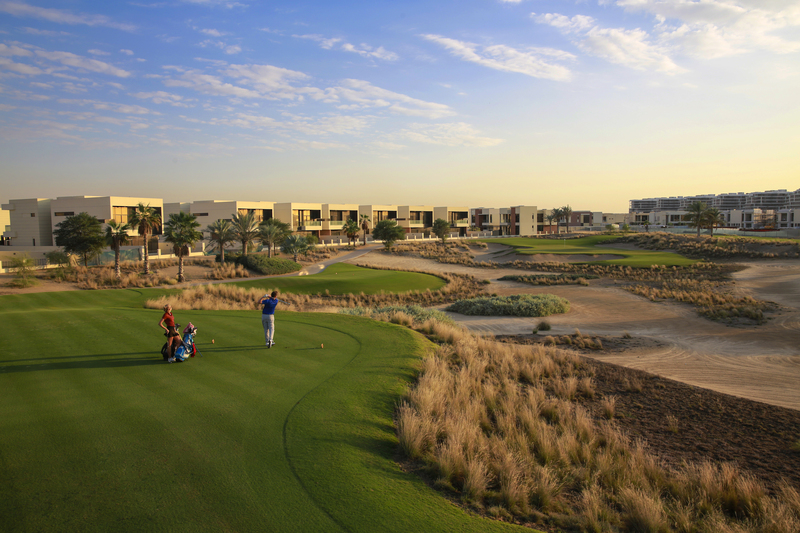 Open 7am to 10pm contact info@trumpgolfdubai.com for golf bookings or telephone 04 245 3939. As the premier golf course owner, operator, and developer, The Trump Organization is committed to creating the world's finest portfolio of golf courses and accompanying amenities. From Scotland to the Palm Beach, the 18-strong portfolio of Trump golf courses offer a whole new level of challenge, luxury, service, and performance that have become synonymous with the Trump brand experience. A sweeping driveway flanked by water fountains greets guests, with beautifully landscaped gardens adding to the sense of grandeur. Blending beauty with functionality, the contemporary Clubhouse is an architectural masterpiece, with floor-to-ceiling windows and a central courtyard offering a glimpse of the verdant golf course beyond.